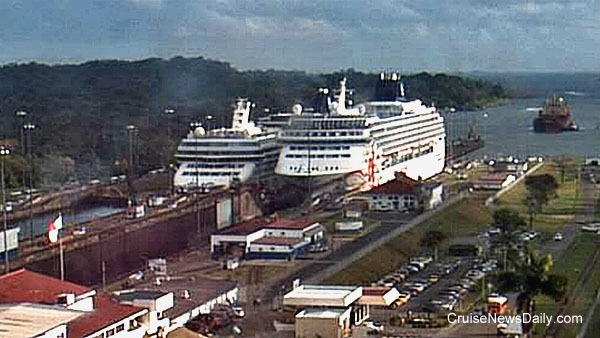 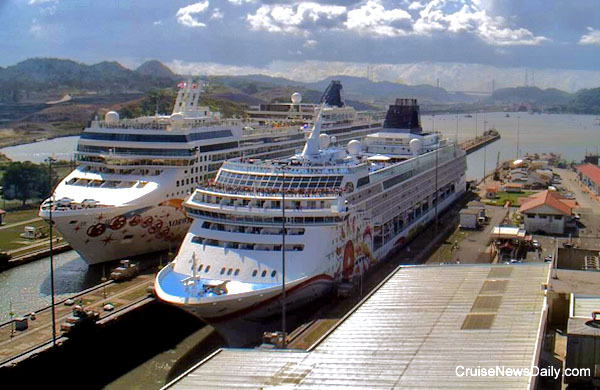 Norwegian Pearl and Norwegian Sun (front) transited the Panama Canal at the same time yesterday (April 25, 2013) providing this rare photo opportunity. 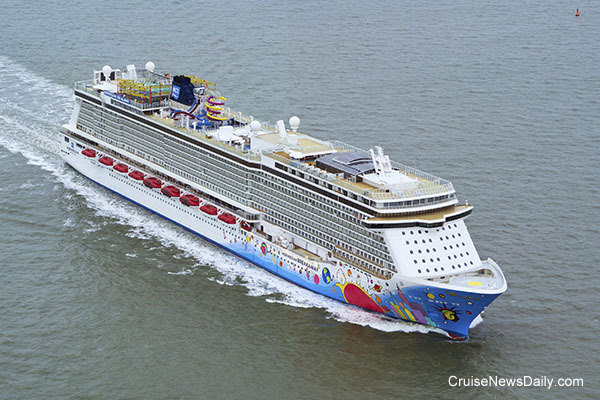 Meyer Werft delivered the 146,600-ton Norwegian Breakaway to Norwegian Cruise Line this morning at Bremerhaven. 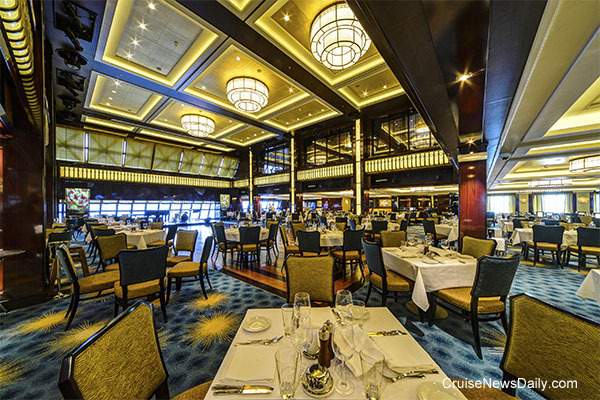 This is the first chance to really look around inside the ship. 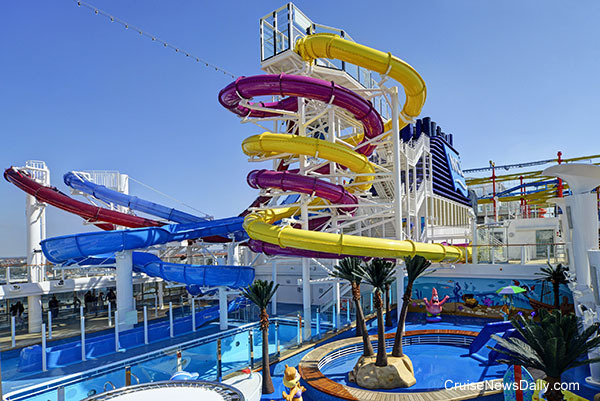 Norwegian Breakaway at sea. 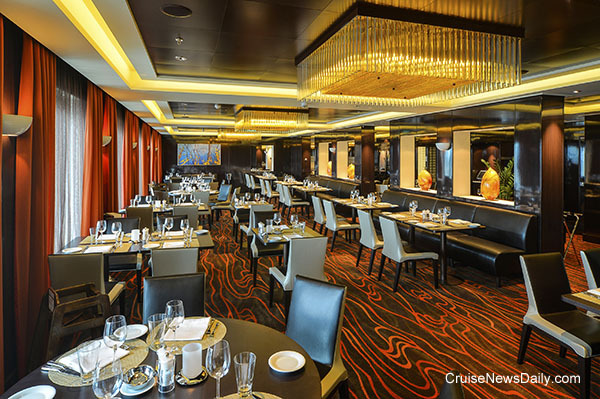 But where's the New York skyline atop the ship that we always see in the commercials? 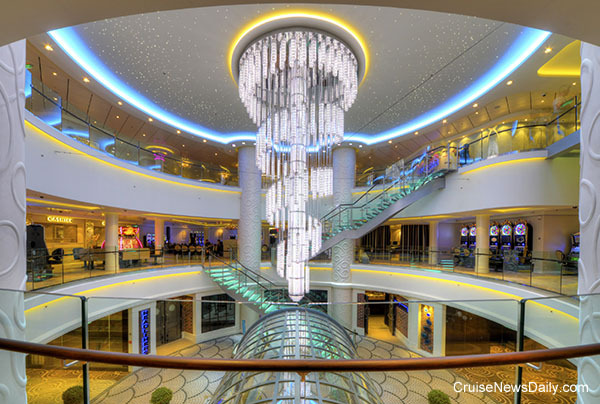 The 678 Ocean Place complex surrounds the ship's atrium. 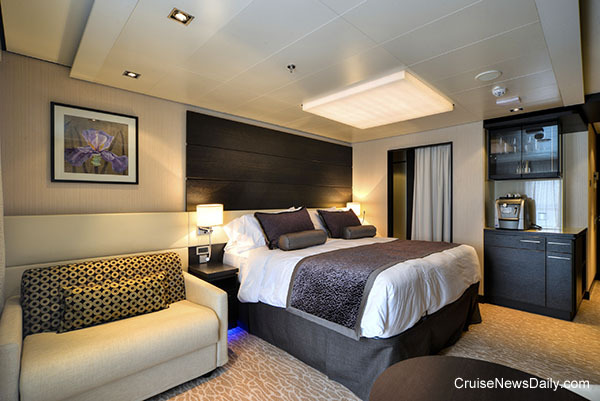 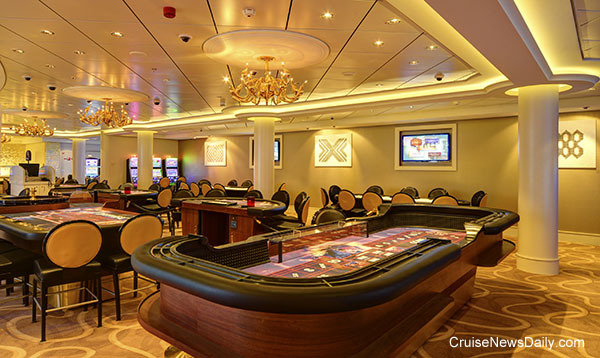 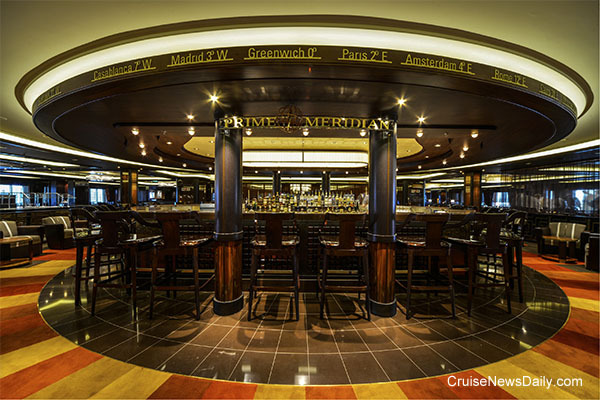 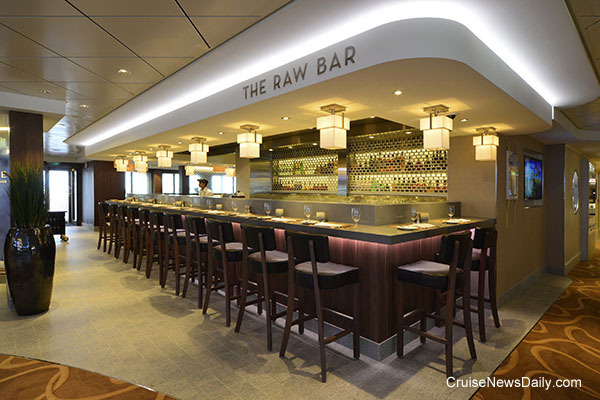 A suite in the Haven, which is a ship within a ship.